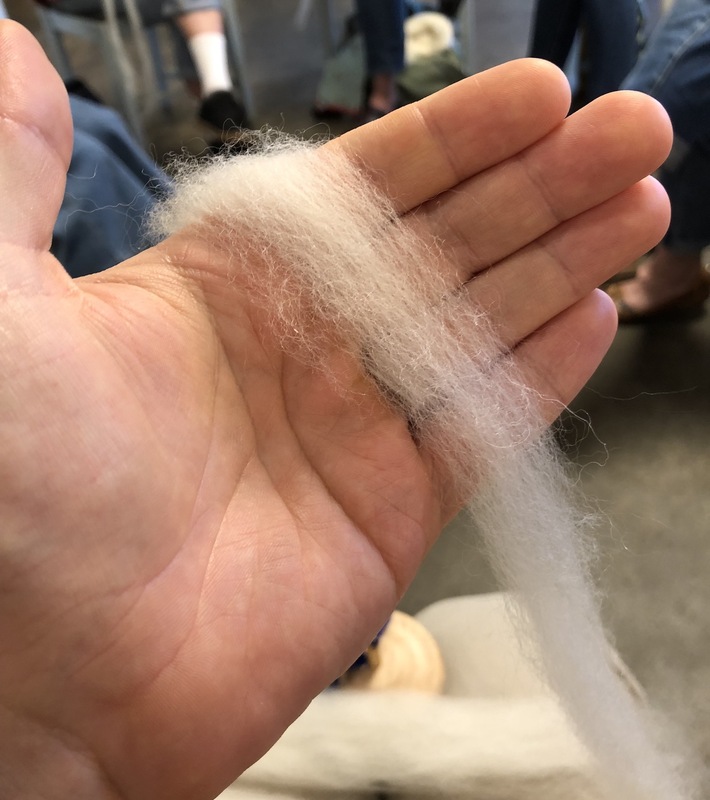 Last weekend, in the spirit of learning with my hands, I took a three-hour intro spinning class—as in spinning yarn, from wool. 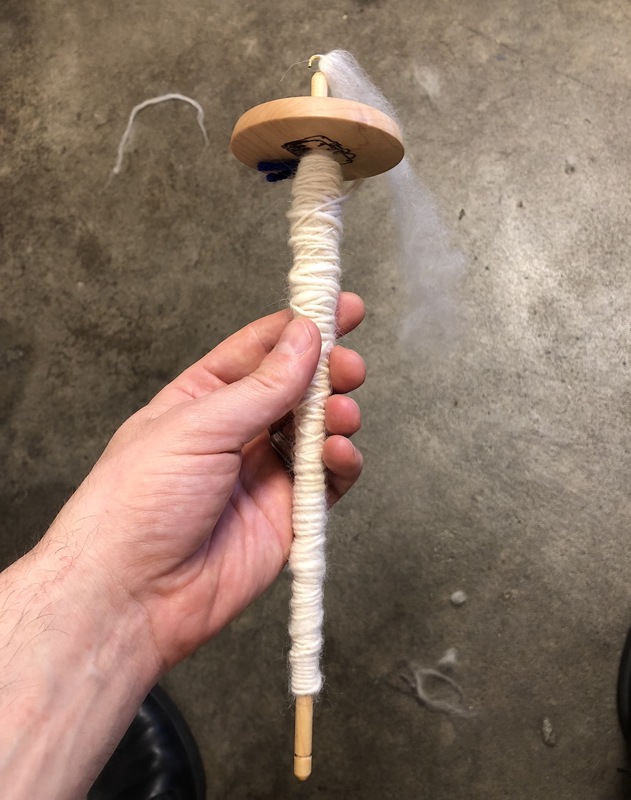 We did it in the most primitive way, with a spindle. We used a top-whorl drop spindle. 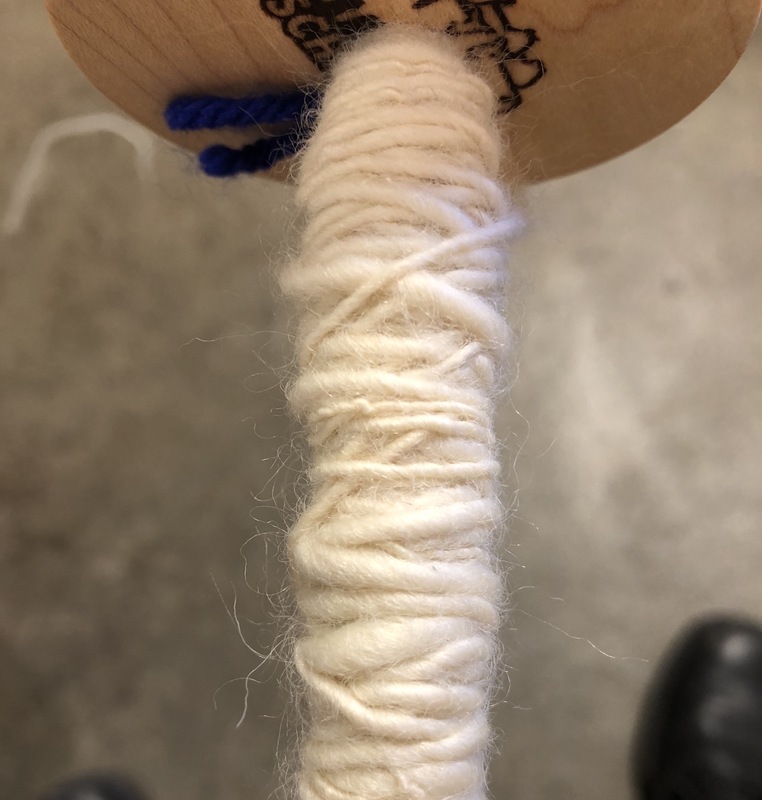 The “whorl” is the round weight that gives the spindle momentum as it spins; a “top-whorl” spindle is just one that has the whorl at the top of the shaft. 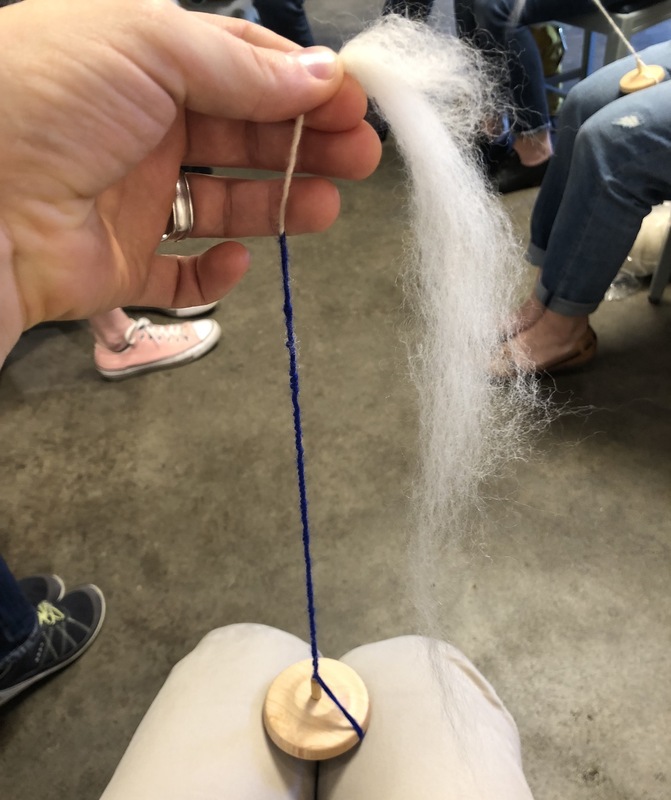 I’m not quite sure what a “drop” spindle is as opposed to other kinds; maybe that has to do with the hook on top, which lets you dangle the spindle from the thread itself. 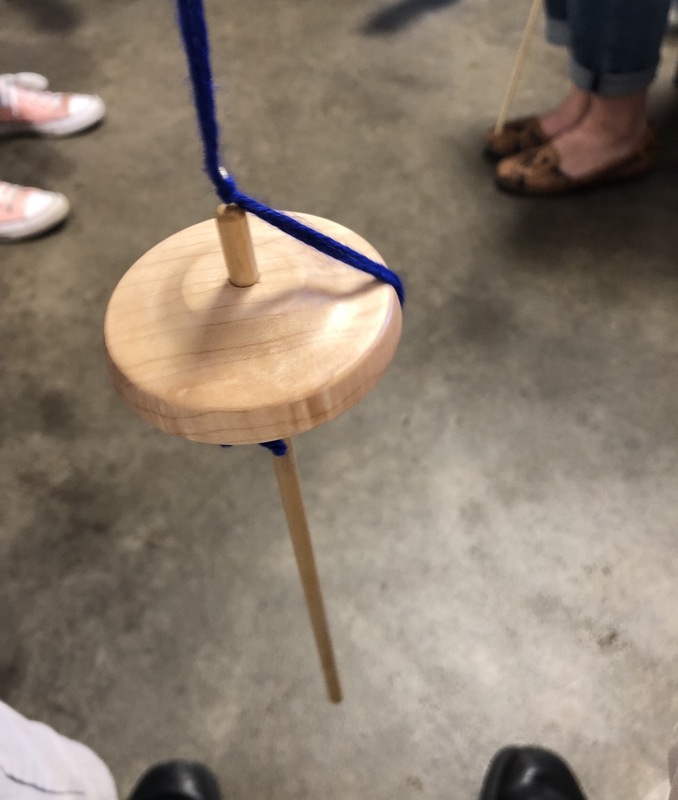 You start by hooking that onto the leader string (or in some methods, right on the hook at the top), and spinning the thing. We were taught to spin it against our thigh to get it going. 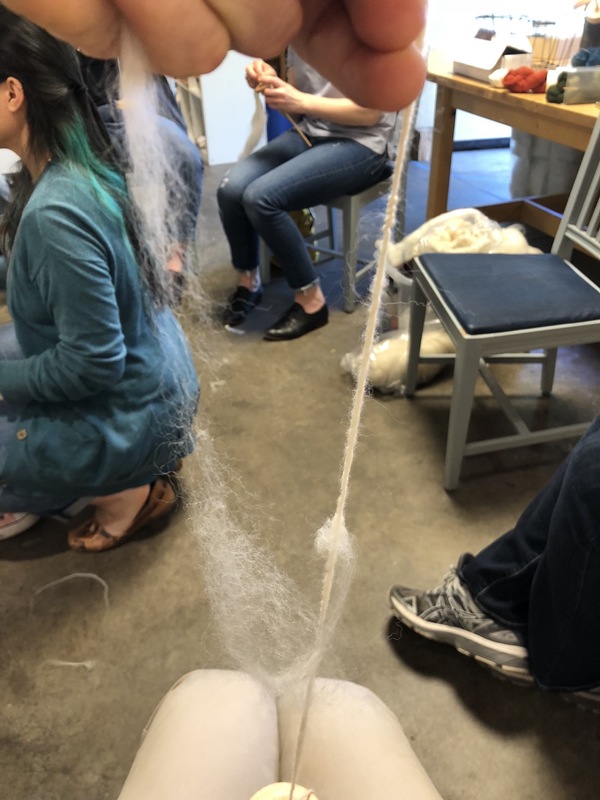 You build up a lot of twist in the string, then you let that climb up the roving, twisting it into yarn. 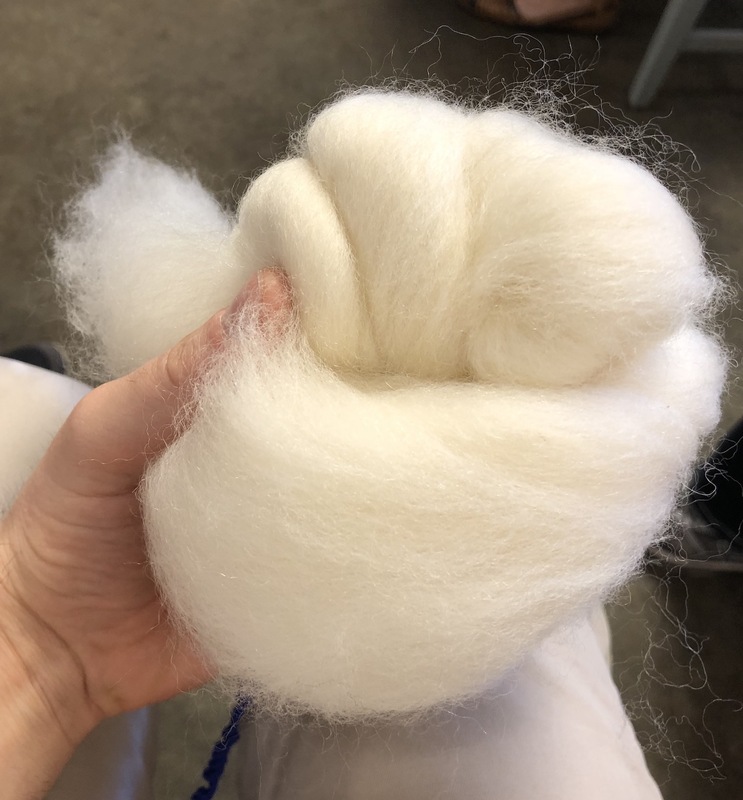 Fortunately, connecting two pieces of roving is just a thing you have to do all the time anyway, so I got back on track. It was a fun diversion for a crafty afternoon. But it also drove home how slow and labor-intensive a process it is, and how much skill is needed to produce quality output.